In The Temptation of St. Anthony ,Religious iconography and elongated animal limbs are in view , as St. Anthony holds back the temptations . 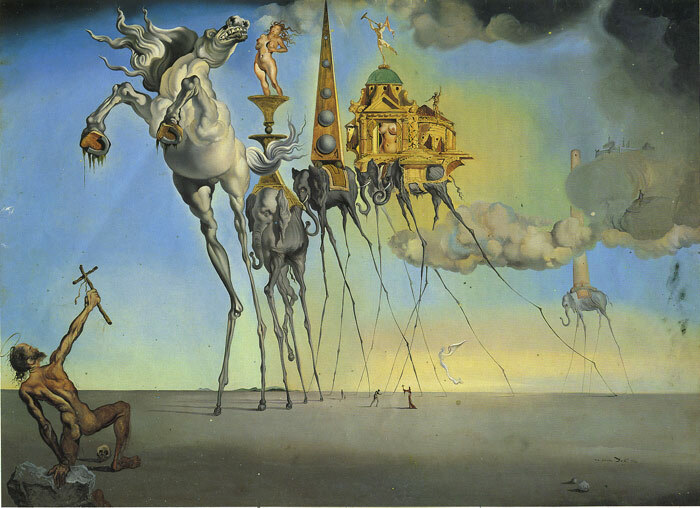 This Dali painting is full of lewdness and corruption. SPECIAL NOTE : The painter will make the reproduction as close to the original oil painting as possible. If you want your painting to alter from this likeness, please email us and " The Temptation of St. Anthony " will be reproduced according to your special requirements.